Perched on the 18th floor of the Federal Hotel Kuala Lumpur, Bintang Revolving Restaurant offers a dinner menu with a colonial twang. 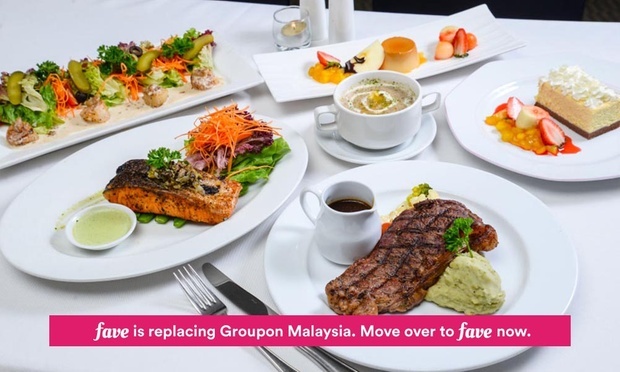 Patrons of the restaurant feast on hearty platters of chicken chop with a side of fries, Wagyu beef tenderloin, grilled king prawns in a butter and herb sauce, and more. Conversation and drinks flow as the restaurant gently revolves amongst the clouds, presenting a stunning vista of the city’s skyline through the floor-to-ceiling windows that surround the restaurant, as lights twinkling on the KL Tower and Petronas Twin Towers mimic stars in the velvety twilight horizon.